It was a bank holiday here in England this week and the sunshine in Southend made it a lovely day, which showed off the clematis in our garden in all its glory, there are thousands of delicate pink blooms spanning about 12 feet as it climbs along the fence. I couldn’t resit taking a couple of photos ……. 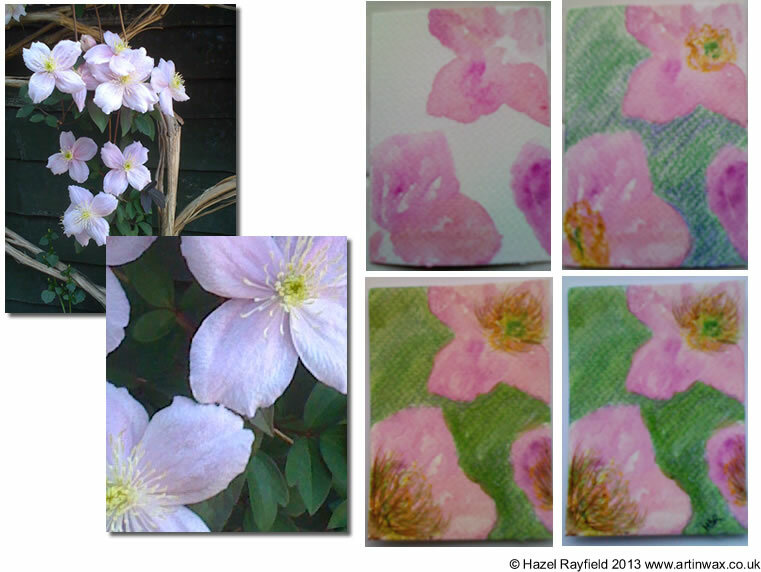 Then yesterday the rain came, so I thought I would have a day painting, I have some on going encaustic projects but also decided to create a couple of mixed media ACEO’s and the clematis was my inspiration. 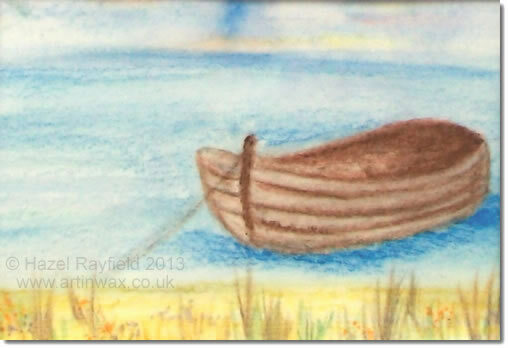 Below you can see how this miniature artwork was created, on watercolour paper I started with a pink watercolour wash, adding a background firstly with my watercolour pencils, than blending with water to soften, then adding detail with a combination of my Derwent watercolour platte and the watercolour pencils. 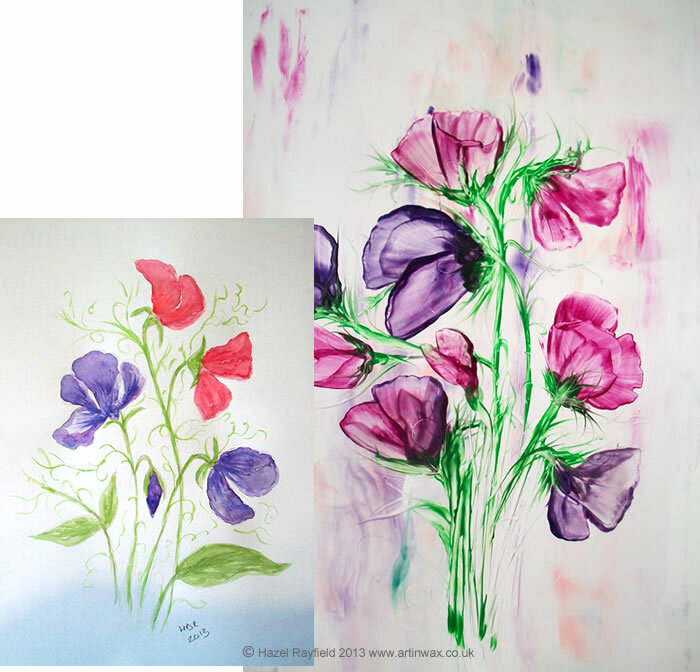 Once finished with the watercolours and the picture had dried, I added several coats of clear hot wax, the colours change slight when the wax is added, giving a softness and a wonderful shine, this sheen forms as the wax is polished and changes the painting into something new. Many things I see every day inspire me, in my painting and in life. Do you paint or craft? What is your inspiration?